Today we are updating our website with a new Product Page. 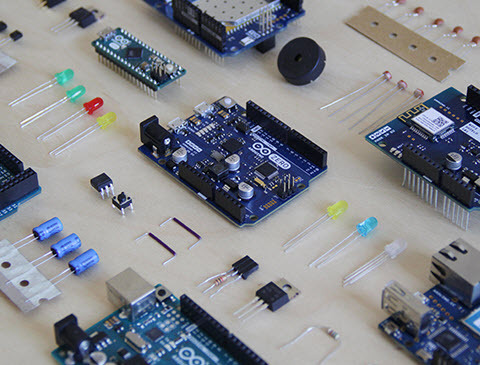 It’s been revisited to present you Arduino products within a context of possible applications for your creative projects. If you are beginning to tinker with electronics there’s a series of Entry Level products to make it easier for you to start having fun. You’ll also find out we retired some products. That means we are not going to produce new official content about them and we are not going to manufacture them anymore in the near future with the same characteristics. But don’t worry, all the documentation we have shared and the forum sections are going to be kept online so you can access them whenever needed. Why are we retiring some products? Our goal has always been making electronics accessible for anyone, and encourage everybody’s creativity by launching thoroughly tested, supported, and documented products. That’s the reason why we decided to focus our efforts on the most successful boards so that you could have the best experience when using each one of them. As you may have noticed, we’ve been going through a reorganization of the way we manufacture products at Arduino. We’ve been partnering with market-leading, innovative manufacturers/distributors around the world, like Adafruit and SeeedStudio. The objective is providing locally produced boards to different markets and our partners are not only taking care of manufacturing and distributing the boards, but they also share with us a commitment with the open-source community. The Arduino project became widespread especially because we invested a lot of energy in nurturing the community, and providing documentation to allow newbies and people with no technical background to tap into the world of interaction design, electronics and coding.